The following is an example of what to expect in Task 1 of the Academic version of the IELTS exam. In this sample you will see a bar graph. 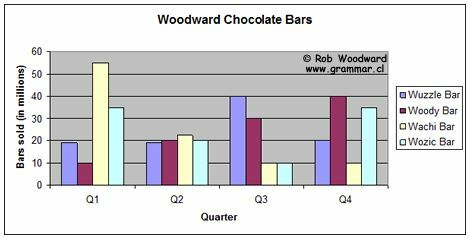 The graph below shows the quarterly sales figures of Woodward chocolate bars for last year. 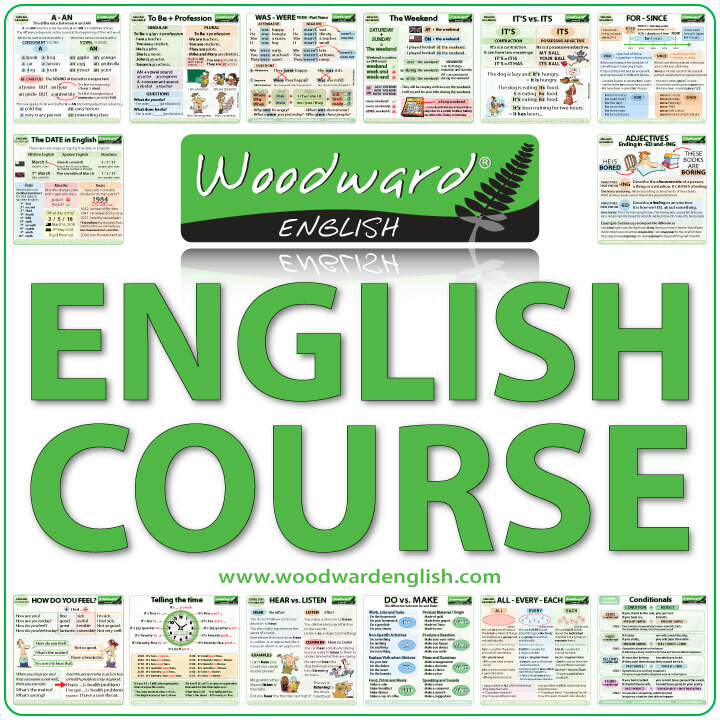 I’m Really Really thank full for this website.. because now I’m preparing IELTS exam so, its very use full for me. During the first quarter of the chaoclote bar last year there were large decrease in productivity as compares to the second quarter which show a gradual increase. Meanwhile, the growth in productivity for Wachi bar dominate dramatically as compare to the rest of the bars.However, Charcolate bar soldemly increase in the third quarter while Wachi dropped.The fouth quarter shows that Charcolate bar was the leading sale bar follow by Wozic bar. While Wachi bar did not achieved much sales. During the first quarter of the chocolate bar last year there were large decrease in productivity as compares to the second quarter which show a gradual increase. Meanwhile, the growth in productivity for Wachi bar dominate dramatically as compare to the rest of the bars. However, Charcolate bar soldemly increase in the third quarter while Wachi dropped. The fouth quarter shows that Charcolate bar was the leading sale bar follow by Wozic bar. While Wachi bar did not achieved much sales. Remember that Task 1 needs to have a minimum of 150 words. You need to include numbers/figures as well. The bar graph depicts the furothly sales numbers of Woodward chocolate bars (Wuzzle Bar, Woody Bar,Wachi Bar, Wozic Bar) for the previous year.In the first quarter of the year Wachi Bar was the top product among the three having 55 million. It decreased its sale in the second quarter and continuously occurred until the last period having 10 million of its sale. Wozic Bar had similar demand on its first quarter and last quarter for having 35 million of demand.On its third period , the chocolate bar (Wozic Bar) got its least income for that year same as the Wachi Bar.Wuzzle Bar had equal transaction on its first and second period of the year having approximately 19 million. On the third quarter it reached the peak of its trade for that year.The Woody Bar had 10 million sale for the first quarter and gradually increased until at the end of the year.One may conclude that Wachi Bar is the least product at the end of the year even though it is the top chocolate bar at the start. the bar graph shows the number four efdifrent varieties of chocolate bars that the woodward chocolate bars sold for the last yearthe first quarter noted to have sold a total of 110 chocolate bars while the fourth quarter to have sold 105 chocolate bars and the rest sold less than 100 chocolate bars. wachi bars single handedly had the highest sale of 55 millions as shown in the first quarter but the sales dropped dramatically by 35 million on the second quarter and continues to drop achieving a sales of 10 million on the fourth quarter. while woody bar on the first quarter had a sale of 10 million but the sales continue to soar high by ten 10 millions each quarters. wozzel and mozic bar sold not too high and neither not too low but the amount of their sales on the first quarter is equal on fourth quarter. as shown on the second quarter the sales of each chocolate bars are almost equal with the wachi bar had a sale of 22 million and the lowest is wuzzle bar with only 19 millions sales. The bar graph depicts the fourthly sales numbers of Woodward chocolate bars (Wuzzle Bar, Woody Bar,Wachi Bar, Wozic Bar) for the previous year. In the first quarter of the year Wachi Bar was the top product among the three having 55 million. It decreased its sale in the second quarter and continuously occurred until the last period having 10 million of its sale. Wozic Bar had similar demand on its first quarter and last quarter for having 35 million of demand. On its third period , the chocolate bar (Wozic Bar) got its least income for that year same as the Wachi Bar. Wuzzle Bar had equal transaction on its first and second period of the year having approximately 19 million. On the third quarter it reached the peak of its trade for that year. The Woody Bar had 10 million sale for the first quarter and gradually increased until at the end of the year. One may conclude that Wachi Bar is the least product at the end of the year even though it is the top chocolate bar at the start. the first quarter noted to have sold a total of 110 chocolate bars while the fourth quarter to have sold 105 chocolate bars and the rest sold less than 100 chocolate bars. wachi bars single handedly had the highest sale of 55 millions as shown in the first quarter but the sales dropped dramatically by 35 million on the second quarter and continues to drop achieving a sales of 10 million on the fourth quarter. while woody bar on the first quarter had a sale of 10 million but the sales continue to soar high by ten 10 millions each quarters. wozzel and mozic bar sold not too high and neither not too low but the amount of their sales on the first quarter is equal on fourth quarter. as shown on the second quarter the sales of each chocolate bars are almost equal with the wachi bar had a sale of 22 million and the lowest is wuzzle bar with only 19 millions sales. The bar graph demonstrates the sales in last year for four different chocolate bars of woodward chocolate. Firstly the sales of wuzzle bar is equal by 19 millions at firs two quarter sales but, by the third quarter theres is a sudden rise to 40 millions of sales where it again decreased to 20 millions by the fourth quarter sales of the year . Secondly the sales of woody bar had a gradual rise in sales from 10 million in first quarter to 40 million by the end of the year sales. Thirdly 55 millions of wachi bar was sold in first quarter where it decreased gradually in the second quarter sales and was constant at rest two quarter sales with 10 millions. Finally 35 millions of woozy bar was sold in the first quarter , whwre it gradually decreased to 10 millions in third quarter but again the sales were peaked to 35 millions in the fourth quarter sales. Coming to conclusion wachi bar had a decraese in its sales where woody bar had a gradual rise in its sales in all the year.